The way that people are using the Internet is in a state of constant flux – it’s mutable and ever-changing, which is a good thing. It pushes search engines to get better at their game all the time. Today, search is driven by user intent. We’re no longer satisfied with typing up a keyword in the search engine and sifting through tens or even more results before we get to the information we’re looking for. When was the last time you typed in ‘restaurant Palo Alto’-or wherever – and hit the search button? Probably years ago, right? Gadgets we’re using today make it easier for us to search for stuff on the fly. Plus we’ve gotten accustomed to search engines answering our questions – essentially reading our minds. See, none of those contain the word ‘restaurant but search Google will invariably recognize our intent and serve up the most relevant results. But search engines were not always that smart – they were, and still are, grappling to keep up with users, even though the algorithms are getting better every day. Semantic search (and by extension semantic SEO) didn’t always exist. So what changed? What happened that enabled search engines to understand our queries on a level of an intelligent 6-year old? Well, it’s all thanks to something called Latent Semantic Indexing. 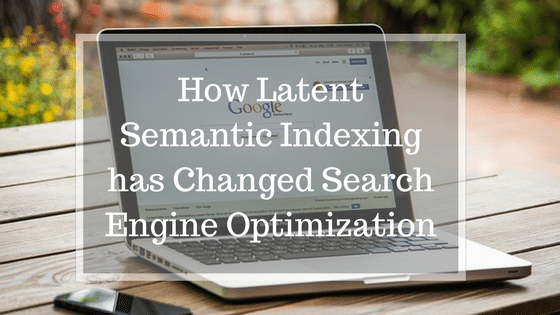 Latent Semantic Indexing – What the Heck is That? That’s what changed. Search engines started to use latent semantic search to order information into understandable and connected chunks – text, ideas, and topics, everything you can find on the web is now interconnected and helps search engines serve up better results. So what exactly does semantic in LSI stand for? Basically, semantics is an old, old linguistics term. It is a branch of linguistics that studies the relationship between words and sentences and their actual meaning. When applied to Internet search, semantics takes on a slightly different yet basically same meaning. Semantic search is a technique that takes into account searchers intent and the contextual meaning of words or phrases in an effort to improve accuracy and display the most relevant results. In the world of the LSI, the semantic web and searches, it’s only natural that SEO practices are going to shift as well. That shift is already happening, and I encourage you to think of long tail keywords as LSI keywords. This is because search engines look at the keywords entered, complete with supporting and related terms, in order to gauge user intent. Right now, semantic SEO is just a buzzword. However, at some point in the future, the term semantic SEO will disappear – because the only people left in the industry will be those who understand how to thrive on the semantic web. In practice, what this means is that Google knows that when you search for ‘highway’, in many cases, that means the same thing as ‘freeway’. When you search for ‘pop’, in some contexts that can mean ‘soda’, sometimes it has something to do with music, and sometimes it’s to do with balloons. Back in the day, the algorithm would spew out pages based on keywords entered and the overall ranking of the page. Links equaled better positioning. Back-linking and shoddy gray hat methods were the webmasters best friends – back-linking is still up there, although the quality version of it. This is because crawlers depend on something called co-citation to verify the importance of a page. Co-citation is one of the building blocks of semantic search and it happens like this. When two different pages mention a page and they share a similar topic (remember, linking and shared keywords are not really required) they send a signal to the crawlers that the mentioned page is important. Thus, all those pages become interlinked and boost each other’s ranking. Chances are that they will appear on the same page during a search because they evolve something similar to a symbiotic relationship. Naturally, one page is ‘heavier’ than the other – usually the one that gets the mentions – and it will probably be located on an authority site. Another important signal for the algorithm is something called co-occurrence. Co-occurrence is a term that describes topically similar keywords that are not the same but naturally appear in the text containing the keyword as supporting words and terms. For example, go to Google and type in ‘omega 3’. Open the first result (it’s an article on Mercola.com) and do some keyword digging. You will notice that omega-3 shows up nearly 50 times on the page but it’s not lonely. Words ‘health’, ‘fish oil’, ‘krill oil’, and more show up almost the same amount of time. Thanks to the fact that the crawlers use co-occurrence and co-citation as signals, Google search will be full of results about the ‘correct’ Omega meaning – you will not see a single mention of Omega nebula, Omega watches, or the Omega constant (a math thing). As I’ve already mentioned, this new semantic search engine is changing how we do SEO – slowly right now but those who adapt to it immediately will reap some substantial benefits in the future. Although SEO professionals shouldn’t panic when it comes to latent semantic indexing and semantic web search they definitely need to prepare for the inevitable – a shift in how SEO works and on what it focuses on. That focus will be on user intent and context, not on keywords. You will have to understand how search engines ‘think’ – for the lack of a better term – and adapt your strategy accordingly. Of course, keywords will still be important, especially long-tail keywords as they will serve as a ubiquitous signal to the search engines – they will let them know what your page is about. But the interplay between co-occurrence and co-citation is what will determine whether you succeed or fail in the future. This is something that you might have already noticed. Type anything into the search engine and look at how many results show up not containing one or more terms you’ve used in your search. That’s because search engines care less about providing an exact match then they do about getting the results they perceive will be most valuable to you. Instead of trying to shoehorn your exact keyword (e.g ‘best brand of pop’) into an article 4 or 5 times, focus on finding related terms that you can incorporate into your content so you can harness the power of co-occurrence. Increasingly, ‘top soda brands’ means the same thing to the search engine as ‘best brand of pop’. This will be the most important signal search engines will use in the future – along with user intent and co-citation. LSI is not focusing on anchor text as the most important signal nowadays. Co-citation and co-occurrence are pushing it out slowly. Instead, focus on how to spread your influence and benefit from co-citation. When selecting anchor text, link naturally – there’s no need to force your exact keyword matches into anchor text. Google knowledge graph is all about answering users’ questions on the search page and presenting inter-related terms and concepts in a way that goes beyond typical search. It’s all about presence and while popular brands and famous persons benefit most from it, ignore it at your own peril. Google uses schema.org and Google + profile to create Google knowledge graph panels. This feature might, in the future, be of immense help to marketers looking to build presence and grab people’s attention while they’re still doing top-of-funnel searches. Remember co-citation? It’s all about getting mentions, likes, and shares, and getting picked up by authority sites as a good source of information. Whenever this happens, your ratings in the SERPs will get a slight boost – this is because those mentions signal to the search engines that you’re valuable enough to be picked up by others. Even who you mention might affect your exposure. Don’t be shy about mentioning your competition – even if you have to do it with a positive spin. SEO is increasingly becoming a PR game and building your brand is more than simply dissing your competitors. Find other ways of differentiating and use co-citation to drive the value of your page up. Structure and create content so it references the terms that are related to your keyword. Use supporting jargon and language and make sure that you know what you’re talking about. Search engines will award you if they can figure out that you’re an expert on the topic – so make sure you actually are. Also, build your site so everything supports each other. Crawlers will look at the whole picture, not just one article, to determine whether or not you are a match for the searcher’s intent. Semantic web search means just that – searching the web for relevant info and you would be wise to remember that all of your pages are a part of the web. Since we’re moving towards LSI web it’s helpful to keep note of how to best find LSI keywords that you will center your content on, making sure you’re helping out crawlers identify your strong points easily. LongTailPro – Essentially, most long tail keywords can be considered LSI words that correlate to a seed keyword. LongTailPro is an excellent tool that spits out a lot of suggestions that you can then using in getting your page to rank better in the SERPs. LSI Keyword Generator – This is a free tool that allows you to enter your seed keyword and spits back a list of related terms that have a close co-relation to your search. Use those keywords to build valuable content by sprinkling them around your page – remember to keep it focused and strategically wise. Ubersuggest – Another great tool that you can use to get a glimpse of what search engines deem to be related and important supporting terms for your keywords. Latent Semantic Indexing proved to be a driving force behind how we now do SEO and more importantly how we’ll be doing it in the future. But remember; it was prompted by and was a direct result of how people use the Internet to search for things. Stop stressing about keywords and anchor text – search engines know more than you think so quit over-optimizing or you will end up hurting your efforts. Look for LSI keywords and make sure to harness the power of co-occurrence. Make sure your content is valuable and engaging –so much that other sites won’t think twice about linking to it or mentioning you as an authority site. Build your brand up – make sure you’re recognizable and differentiate yourself from the crowd. And that’s it. Remember, traditional SEO signals (heavy anchor text, keywords that are shoehorned into articles) are rapidly losing effectiveness. If you’re in the SEO industry, it’s time to start focusing on user intent – its sounds like magic but think hard about how you search for stuff and how you would like to find it and adapt yourself to that pattern. And make sure you understand LSI and its development and implications. If you understand how search is developing and improving, you’ll be able to stay ahead of the curve. Try Long Tail Pro with a 7 day FREE trial. Can you expand more on a Wikipedia site? 1) Linked to a WP site? 2) Be independent of it? 3) what kind of content? 4) Wikipedia url / would this reflect the brand or content of the w/site? 5) where do we creat it? Yes, that part tripped me up a bit as well. I don’t think it would be a good idea to try and create a Wikipedia page about yourself. However, I suppose there are ways you could suggest to the community about getting yourself there. This was an awesome post. I’ve shared this with our content team. You’ve broken down the entire process precisely and easy to follow. Wow, that sounds spammy. I assure you it’s not. I’m an SEO since 2003. This a great and informative article. I am a video marketing consultant and my company provides both corporate video production and video marketing. I use LongTailPlatinum and have seen great results for my business and my clients’ businesses with this tool. Great article! Google is getting smarter and smarter and the semantic web is just around the corner. It saves SEOs from having to intentionally misspell keywords or mention the exact keyword x % of the time in a text. 1) Because you no longer are the sole owner or majority owner that have the veto power. Any changes we make to the Adobe Air desktop product will be available to all platinum users with no extra charge. 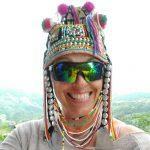 I read about LSI in one of your blog posts on NichePursuits. Soon we started writing all article on our blog targeting LSI keywords to make them more user friends as well as search engine friendly. You can check our blog http://www.knowledgecage.com/ and see how beautifully we are crafting the content targeting proper LSI keywords. I agree with you on the intent part. With the growth of the internet, people know what they are searching, so having the proper blend of many keywords in a blog post can create miracles. Thanks for such a good writer. I agree with the viewpoints of the author and yes, search engines are smarter than us. We need to craft the content in a better way to please the search engines. Using LSI keywords for the main keyword would help us to hold the good SERP. Keyword stuffing and keyword repeating types of SEO have dead. I have been using LTP Platinum since 2014, and it works well for me. Good to know that G+ presence has value and I have already been there. Thanks for sharing such an awesome post for the content publishers. This really puts LSI into understandable perspective. I’ve had others make it sound so difficult to the point that I just couldnt get it. Thanks! We tried to make it reasonably straightforward and easy to understand, so that’s great to hear! Great post! Gives a real idea about the search tendencies and how to benefit from them. Amazing. Thanks for sharing! I liked this post very much because its very simple and easy to understand . This is a very comprehensive article on LSIand puts in an understandable format. Great point – “search engines know more than you think so quit over-optimizing or you will end up hurting your efforts”. And thanks for the clear explanation of co-occurrence and how it plays into the semantic web. One of the best on Latent Sematic Indexing. Today, you cleared my all doubts regarding LSI. Longtail Pro sounds very good tool for LSI keywords. Overall very good post. Thanks for sharing your knowledge. Thanks for such an awesome post on LSI. I was having great confusion regarding LSI and how to use them on our post. But this one post cleared all my doubts. Truely blockbuster post. Well, Latent Semantic Indexing is something new for me, thanks for sharing this useful post, helped me a lot to better understand the LSI keywords. LSI keywords are really helpful. Before I knew about them I simply used to target a couple of long tail keywords and submit them in Yoast. But once I realised that LSI Keywords was the major part I was missing out on my blogging style was never the same again. LSI keyword is very important and this post explain it very well. I am going add this post in my favourite bookmark. Fantastic post, I definitely agree that adjusting to and embracing semantic SEO is a new part of our roles as search-focused marketers. I’m excited to see what kinds of results/data people bring to the table regarding semantic markup and structured data being used as a ranking factor. I sort of like to think of it this way, every piece of text on a result that isn’t plain black gets treated as a ranking factor to some extent (title, URL); why not the structured snippet, too? I’m simplifying, but I think there’s some validity there. To add my thoughts on your last question, I’m saying “yes”! I think it makes a whole lot of sense for small and large web publishers to use semantic markup. I mean, if nothing else you’re getting some seriously hot search results. If things end up where I think a number of us suspect they’re heading, web publishers could also get a significant benefit when engines enhance how they utilize, analyze, and reward structured data on those sites. Great post! Gives a real idea about the search tendencies and how to benefit from them. LSI keyword is very important and this post explain it very well Amazing. Thanks for sharing! Semantic search is the future of SEO. 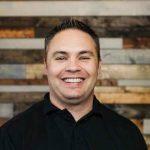 Don’t take my word for granted, watch this interview with David Amerland (SEO/ Semantic search specialist). 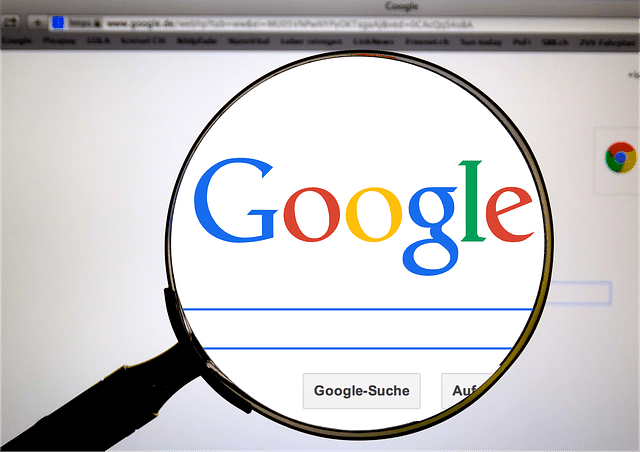 In the interview, David explains how this google algorithm will revolutionise the way search results will appear on the search engine. Google is focused on delivering refined results to the end user based on the intent and context at which a search query is triggered. He explains the concept using a pizza example, why Google’s semantic search won’t allow you to have a pizza at 9 am. Can’t wait to try your LSI keyword research technique and tactics! All the idea is really superb. I think I will get a great result in the end. Thank you so much and keep posting things like this.